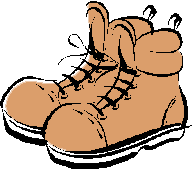 We have been walking the paths of Bucklebury and surrounding parishes for over 5 years now – we are a mixed group of all abilities and our aim is to have a social walk each month. We walk for about 1 ½ hours and then enjoy a cup of coffee (or maybe a pint) afterwards, so the walk is both healthy and social! We meet at various places around the parish at 10.00 am on the first Thursday of each month and enjoy a Christmas dinner each year at either The Cottage Inn or The Bladebone Inn. Walking, according to A.C. Grayling, Professor of Philosophy, is - "good for one's sense of proportion, which is good for one's mental health. It has been observed that a five-mile walk does more for one's well-being than all the psychotherapy in the world. But, as everyone knows, that is because walking is good for physical health". Please contact me for more details or just turn up at any of the walks – dates are published in the Parish Diary, and also in The Oaks, or you can download the full 2019 schedule.